Joanne left college in 1996 to start her career in the Hotel & Travel Industry. She worked 10 years in Customer Service, Sales and Management as a Training Specialist for Forte Hotels which later became Intercontinental Hotels Group. Delivering bespoke training packages to Call Centres and Offices in the UK, Europe and the Middle East. 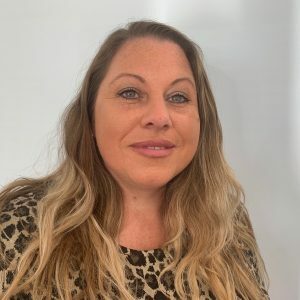 Having had a break to start a family, Joanne then became a Travel and Business Lecturer at Kidderminster College delivering Level 3 BTEC qualifications to students who also wanted to pursue a career in the Hotel & Travel Industry. During her 8 years at Kidderminster College, Joanne was also a Key Skills Tutor for learners who were not in education, employment or training. She later went on to open her own training provision and worked with local authorities delivering a life skills programme for learners aged 14-18. Joining the team in 2018 as assistant estate manager, Jo is based at Stanmore Business Park and assists with the everyday management of the estate. Dealing with new enquiries, liaising with existing tenants and organising both internal maintenance and external contractors. Jo is the primary contact for all enquiries, queries or issues relating to Stanmore Business Park.